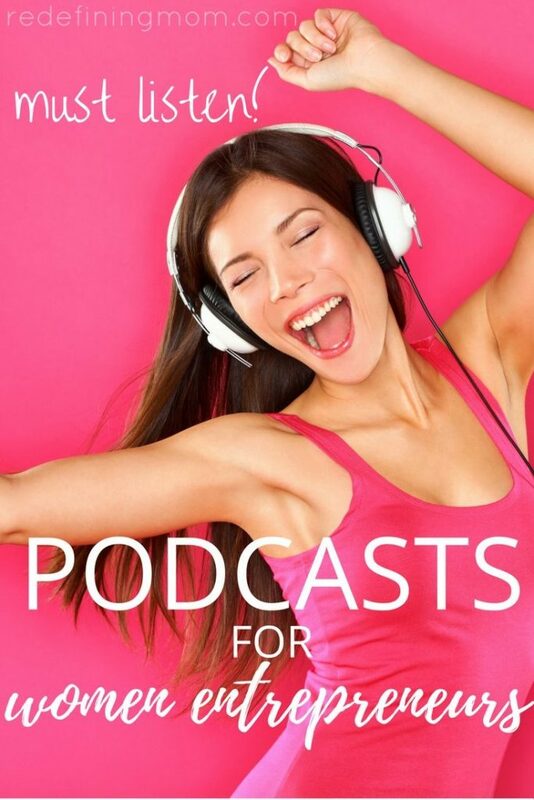 A few months ago, I published 5 Must-Listen Podcasts for Women Entrepreneurs and everyone loved it! One of my favorite things to do is listen to kickass podcasts by women who are rocking it in the business world. My favorite part is that they are just like you and I. They started their businesses from scratch and built them into sustaining businesses that can support and feed their families. Since I wrote the first article, I’ve discovered several more podcasts for women entrepreneurs which are just too good not to share with you! 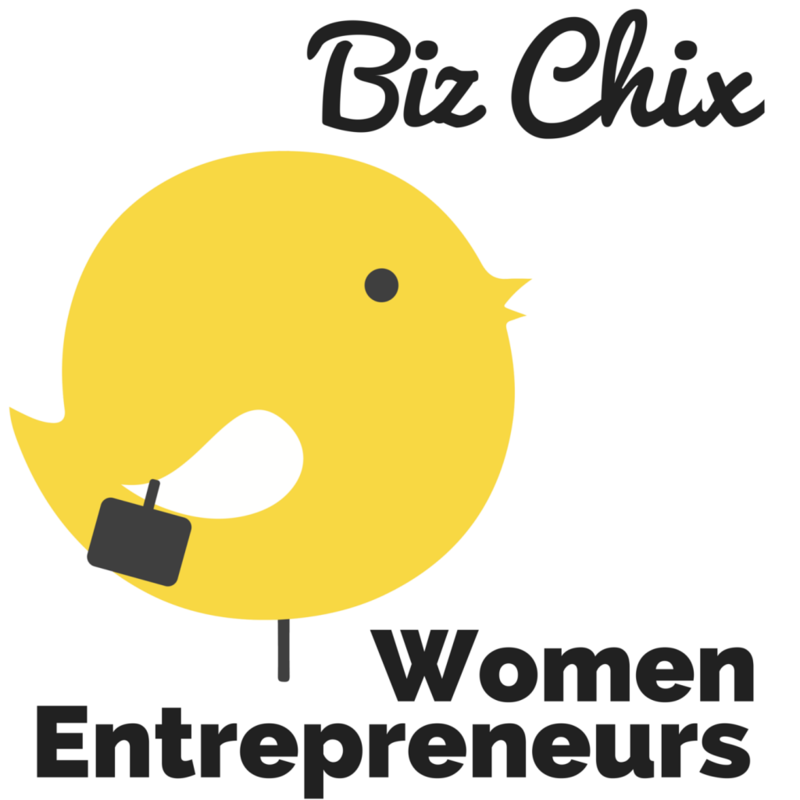 What is The Biz Chix Podcast? 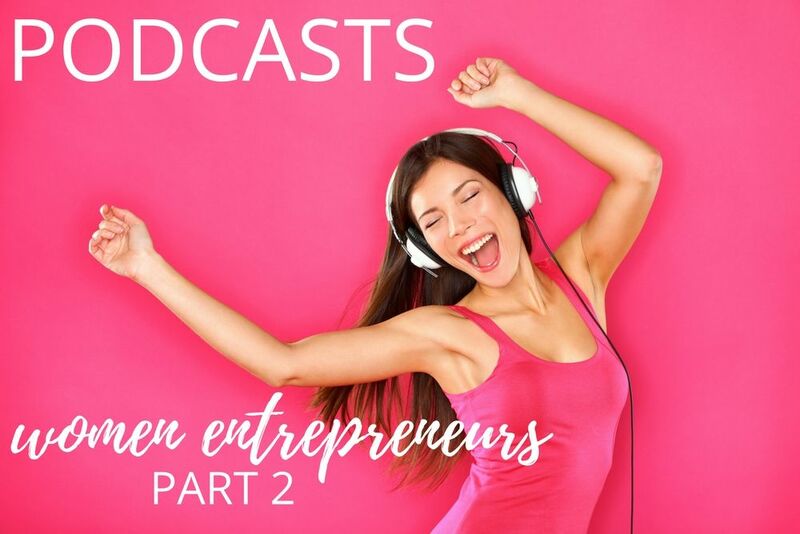 A podcast for women entrepreneurs hosted by Natalie Eckdahl. Why listen? Natalie is a seasoned business professional and gives realistic advice to new and established women entrepreneurs. She started her own business with her husband in 2010 and also earned her MBA and worked in corporate for a while. The advice she gives is practical, actionable, and not full of fluff. I often listen to her episodes and leave with a lot of clarity on what my next steps should be in my business. When are new episodes released? Every Tuesday. What is Business Rescue Road Map? A podcast for women entrepreneurs by Stacy Tuschl. Why listen? Stacy built a seven-figure business from the ground up in her early 20s. Now she is showing other women how to do exactly what she did on her podcast! When are new episodes released? New episodes are released on Monday and Friday. What is All Up in Your Lady Business? 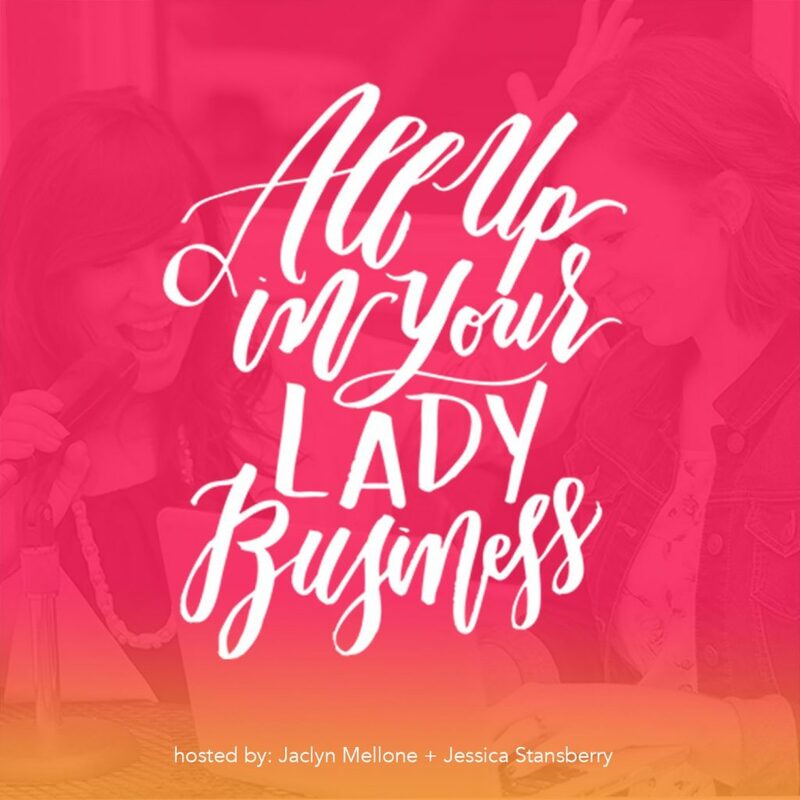 Jessica Stansberry and Jaclyn Mellone interview female entrepreneurs who are killing it in their own businesses! Why listen? Jessica and Jaclyn have a very awesome partnership and bounce ideas off each other in an authentic way. I love how down to earth they are throughout the episodes and I often feel like I just received the best business advice from a trusted friend. When are new episodes released? New episodes are released on Monday and Wednesday. Episode #96: Does your husband have a place in your business? What is Off The Charts Business Podcast with Natalie Lussier? Short, actionable advice to move your business forward every week hosted by Nathalie Lussier. Why listen? Nathalie is an expert in what she does. 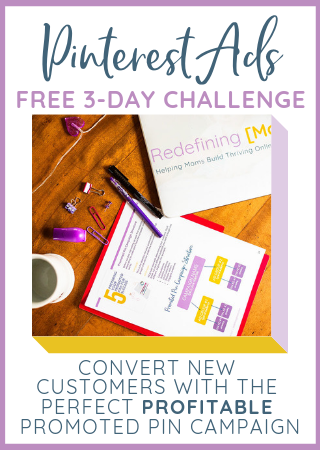 I discovered her after taking her free 30 Day List Building Challenge and have been hooked on everything she’s had to say since. If you want advice from a successful businesswoman, look no further! When are new episodes released? Nathalie just had a baby so her episodes have not been airing regularly…as we can totally understand! However, her back catalog is full of amazing content that you should take the time to go back and listen to! What is Mompreneur on Fire? A podcast for balancing business and babies with Ashleigh Blatt. Why listen? Ashleigh is a client of mine and I am continually in awe of her knowledge and experience. 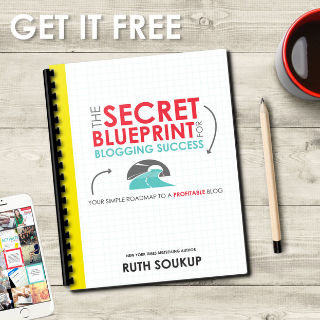 She is able to get her mompreneur guests to open up and share in an extremely authentic way! When are new episodes released? New episodes are released on Monday. 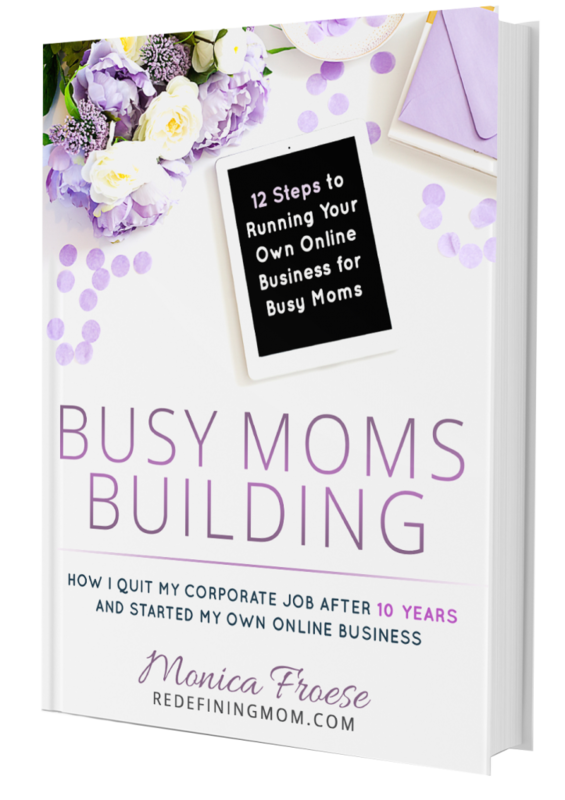 In my new eBook, Busy Moms Building: 12 Steps to Running Your Own Online Business for Busy Moms, I break down the 12 steps I took to start my own online business and quit my corporate job. It is designed to give you practical and actionable steps that can take you from not having a business to a thriving business in just 45 days! Great share just pinned. I love the lists! Thank you for stopping by Mari! Lovely lists! I’m shocked that Girl Boss isn’t on here though. It’s perfect for inspiration as an entrepreneur! Also, How I Built This is AWESOME!